Recently, a customer called me to configure Netflow on these routers because he just installed NetFlow Analyzer software from ManageEngine. This software is an “all in one” NetFlow collector, database, WebUI software, able to build pretty nice reports. In my opinion, Netflow is one of the absolutely required software to have a good visibility when you operate a network. NetFlow is a Cisco technology available in Cisco IOS since 1996. It provides statistics on packets flowing through a router or a switch. NetFlow collect and export the data to enable network and security monitoring, network planning, traffic analysis, and IP accounting. Flexible NetFlow (FNF) improves the original NetFlow by adding the capability to customize the traffic analysis parameters for your specific requirements. Flexible NetFlow facilitates the creation of more complex configurations for traffic analysis and data export through the use of reusable configuration components. 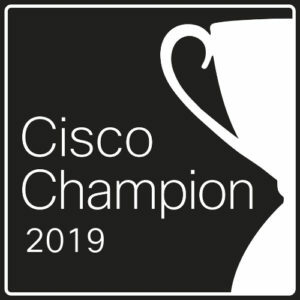 FNF is supported (at least) on the following Cisco platforms: ISR, ISR-G2, ISR4K, ASR1K, ASR9K, CRS-1, CSR1000v, Catalyst 3750X, 3560X, 3850, 4500 & 6500 SUP2T, Nexus 7K, Nexus 1000V. It is available since IOS 12.4(9)T for some platforms, or IOS 15.0(1)M for others (from 12.2(50)SY on 6500/Sup2T). So since a very long time. 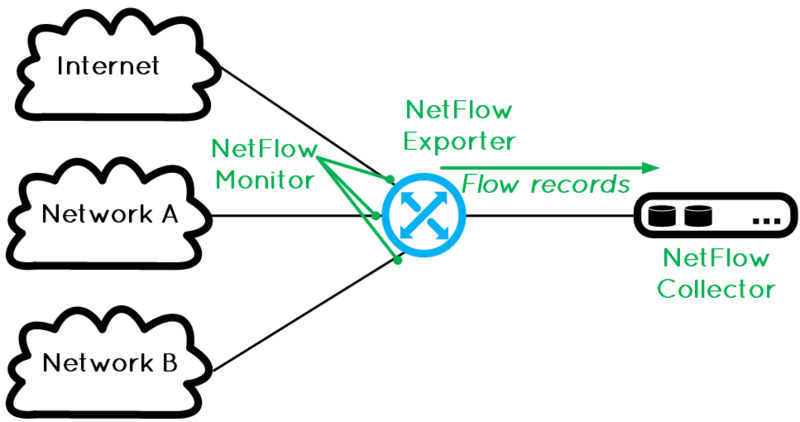 IP Flow Information Export (IPFIX) is the IETF standard version of NetFlow. There are changes in the terminology but this is the same principles like Cisco NetFlow version 9. Flow Exporter, Record, Monitor and Activation. 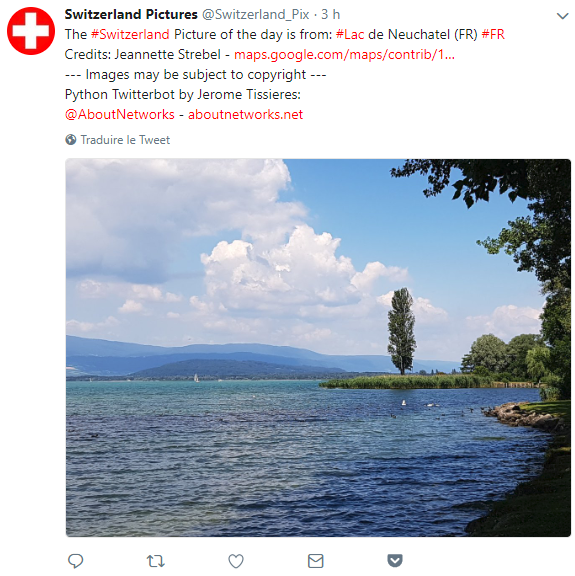 FNF is divided into three distinct functions: the selection of data we want to analyse (flow record), the collection of the data (flow monitor), and the export of the data to a collector (flow export). To complete the configuration, a flow monitor can be applied to one or multiple interface(s). Please refer to the Cisco IOS Flexible NetFlow Command Reference for the complete list of key and non-key fields. Flow exporters are created as separate components in a router’s configuration. Exporters are assigned to flow monitors to export the data from the flow monitor cache to a remote system such as a NetFlow collector or the Netflow Analyser of my customer. Flow monitors can support more than one exporter. Each exporter can be customized to meet the requirements of the flow monitor or monitors in which it is used and the NetFlow collector systems to which it is exporting data. Each flow monitor has a separate cache assigned to it. Each flow monitor requires a flow record to define the contents and layout of its cache entries. These record formats can be one of the predefined formats or a user-defined format. In the flow monitor we also specify the exporter(s) we will use. Here is an example of configuration I used to export netflow datas to ManageEngine Netflow Analyser. This configuration was made on a 6500/SUP2T. This is one flexible NetFlow configuration example, but we can go much further.
! match "application name" calls NBAR "account-on-resolution" (ASR1K).
! The last three lines export the full list of applications and the full list of attributes per app. In the output above: nbar (lowercase) = standard applications and NBAR (uppercase) = custom applications. The applications are without limits!